It’s a little scary to think that the lowly password is, in many cases, all that separates our most private data from utter ruin. Passwords are hard to get right, and all too easy to accidentally let fall in the hands of the shady characters that lurk around the dark corners of the Internet, ready to steal every last bit of our digital footprints for their own profit. Dashlane stores all your passwords in a secure digital vault; it automatically matches them to the appropriate icon or logo, and features a powerful search function for quick access. Like every other app in this space, Dashlane’s primary function is to save and collect the usernames and passwords you use to connect to various websites. The app’s interface, however, seems to have been built with the (correct) idea that most users lack the expertise to manage their online identities correctly. Thus, you can expect a lot of handholding at every step of the way. This is immediately evident when you first launch the app, which takes you through a detailed step-by-step process to pick a master password, install the appropriate extensions for all your browsers, and import your existing information from other password managers. If you’re a password management veteran, this welcoming mat is a bit on the heavy side, but it’s certain to be a boon to less experienced users. For my part, I will note that I imported all kinds of data from two of Dashlane’s competitors as well as from my Mac’s keychain, without any problem whatsoever. In addition to passwords, the app lets you store credit cards, secure notes, and personal information that can be used to quickly fill a web form. 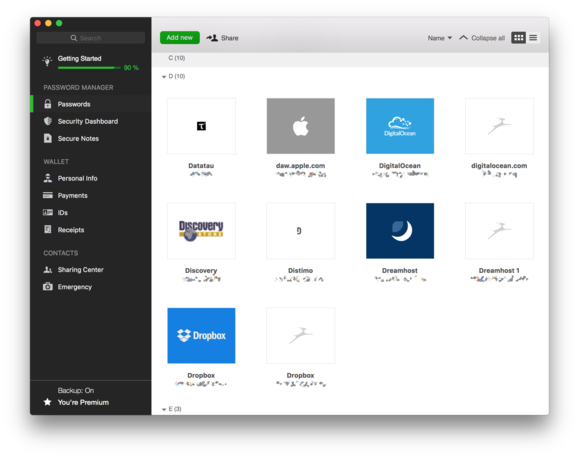 Dashlane is compatible with all three popular browsers and makes installing extensions for Safari, Chrome, and Firefox as easy as picking an item from a menu and following a few instructions. In addition to logins and passwords, you can also use Dashlane to autofill all kinds of forms with your personal information and credit card data. Unlike Safari’s own autofill, the app will also save and fill the CVV code on your credit cards, which makes for fewer trips into your wallet when you want to buy something online. In keeping with the rest of the user interface, the browser extensions tend to be quite verbose. For example, when they detect a new login, they display a modal dialog that captures the browser’s entire input until you’ve decided whether you want to store the username and password inside Dashlane. Like with the introduction, this feels a bit overbearing but is also a great way to encourage users to save as much of their data as possible for later use. Managing your passwords doesn’t just mean saving them and using them to quickly fill out login forms, of course. You also need to choose good passwords that are hard to guess, avoid using them across multiple websites, and make sure that they are changed on a regular basis. Thanks to a couple of handy features, Dashlane makes this process very easy. The first, which goes by the name of Security Dashboard, audits the contents of your digital vault for passwords that need changing because they are either too weak, too old, or too frequently used. The dashboard provides a clear visual representation of what needs to be done and even suggests some quick actions that improve your situation with minimal effort. The second, appropriately named Password Changer, allows you to automatically change your password on a number of popular websites without actually having to visit them: You simply provide the new password, and Dashlane takes care of the entire process for you; it even allows you to address multiple sites at the same time, using a different strong passphrase for each of them. The Security Dashboard analyzes your passwords and tells you which ones need changing because they are too weak or have been reused across multiple sites. In many case, the app can even change your logins without any manual intervention. The basic version of Dashlane is free, and can only store your private data—encrypted using industry-standard algorithms—locally on your hard drive. If you want to back up your digital vault or synchronize it across multiple devices, including those running iOS and Windows, the company also offers a custom cloud offering that saves all the information on its servers for a fee of $40 per year. 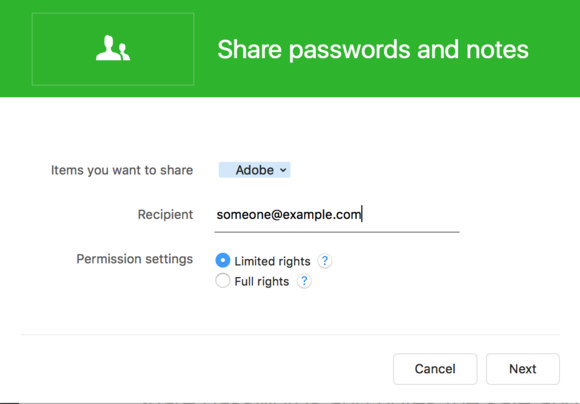 This also comes with the ability to access your passwords over the Web and share them in a secure way with colleagues and family members. It may seem odd to trust all your sensitive information to a third party over which you have no control, but it’s really no different than what happens with any other app of this kind, and there’s no reason to believe that the folks behind Dashlane are nothing but dead serious about the security of their cloud offer. Ultimately, Dashlane is a great digital vault, particularly for users that need a little help navigating the sometimes complex world of security. 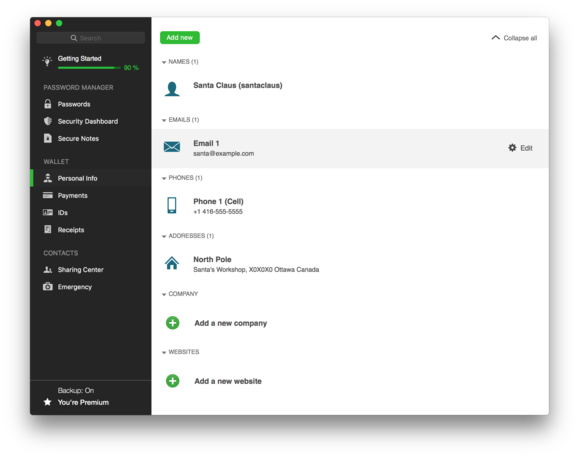 It integrates well with all the apps you’re likely to use every day, offers a compelling sync offering, and automates many drudging tasks that, while crucial to good password hygiene, are often overlooked because of their menial nature. 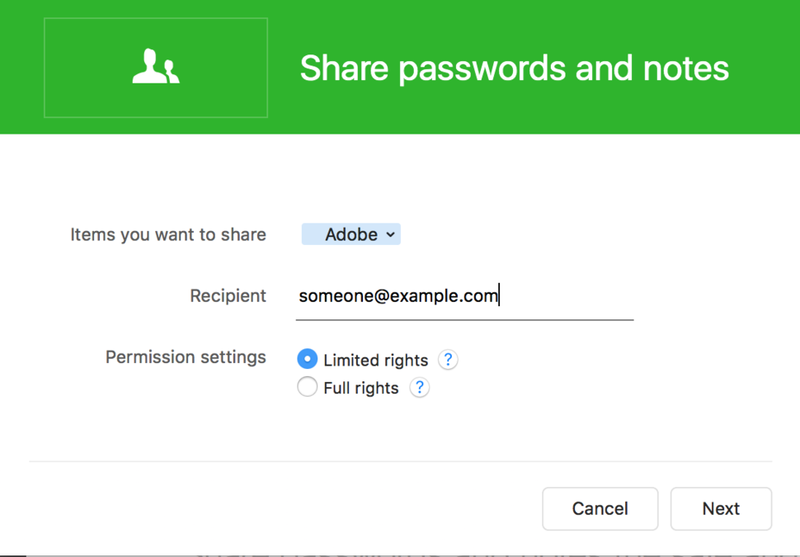 Dashlane's powerful sharing features allow you to let colleagues and family members access your secure items. You can even give them varying levels of access; for example, you can let them use, but not view, your passwords. The app's unique selling feature is its extraordinary user-friendliness. 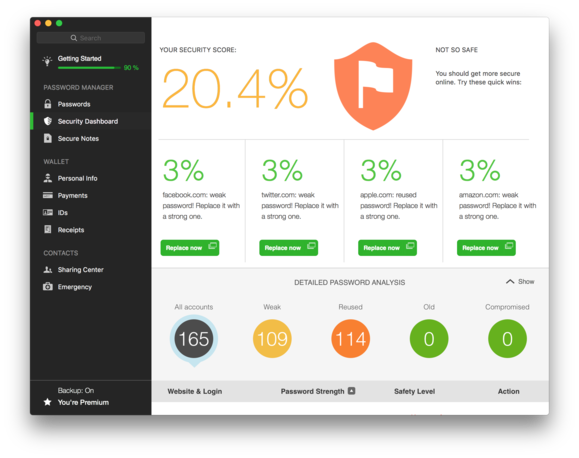 If you're worried about the safety of your online data but haven't ever quite managed to feel comfortable with a password manager because it felt too difficult to use, I'd bet that Dashlane would be a welcome breath of fresh air, particularly given its price point, and a great way to finally get a handle on what could be one of the most important aspects of your Internet life.